I’ve led or supported the development and validation of several brief rating scales for measuring behavioral, social–emotional, and mental health / wellbeing variables. These measures are free and intended for public use. There’s no need to contact me to obtain permission for using them in research or practice. But I’m always happy to hear about how you’re using them or how we might collaborate to improve them. Below are links to each rating scale, which you can download, use, and share for free. Links are also provided to the “project hub” for all measures, where you can access all of the materials (that I’m aware of) that support their use. These links will take you away from this website to where this stuff is actually stored, on the Open Science Framework. T﻿he SSWQ is a 16-item self-report rating scale for measuring youths’ school-specific wellbeing in several domains: joy of learning, school connectedness, educational purpose, academic efficacy, and overall student wellbeing. 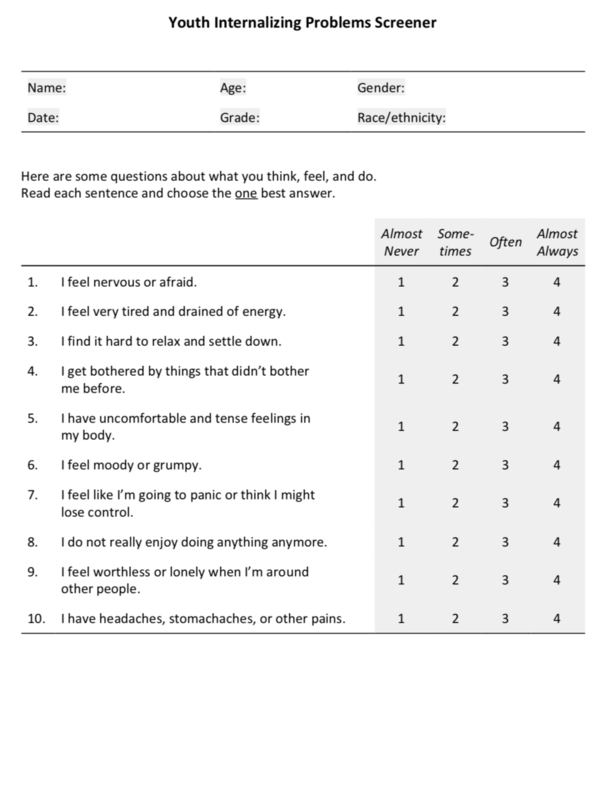 The YIPS and YEPS are 10-item self-report rating scales for measuring youths’ behavioral / mental health problems in the broad internalizing and externalizing domains. The TSWQ is an 8-item self-report rating scale for measuring teacher’s job-specific wellbeing in a few domains: school connectedness, teaching efficacy, and overall teacher wellbeing. The CSSWQ is a 16-item self-report scale for measuring young adults’ college-specific wellbeing in several domains: academic satisfaction, academic efficacy, school connectedness, college gratitude, and overall student wellbeing. Items on the CSSWQ are substantively different from those on the SSWQ.